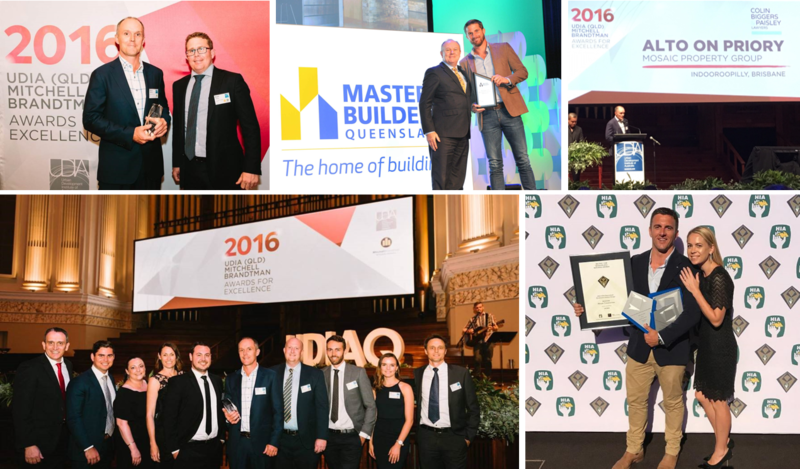 Our achievements have been acknowledged through several highly recognised key industry awards sponsored by the HIA, UDIA & Master Builders Queensland industry bodies. Being recognised with multiple prestigious industry awards for design, development and construction, exemplifies that Mosaic is achieving its primary goal of developing and building the highest standard of residential living. We’ve been judged against our peers, many of which have teams and balance sheets much larger than ours, so it is a great honour for us to receive this recognition. We’ve summarised the list of various awards Mosaic won in 2016, as well as some National awards that we have been nominated for that will not be announced until later in the year or early next year. If you would like to find out more about our award-winning projects, please register your email below.